Routines were the main topic of our last post and aligned with the first section of our new book, Smarter Charts for Math, Science and Social Studies. We heard from many of you who agreed that routines were a key focus during the first weeks of school. The time spent early on developing expectations and creating community makes all the difference as the school year moves forward. We thought it would make sense to follow the path of the book and talk next about genre and concept charts – charts that teach beyond just the facts. What is it? Why would I make it? 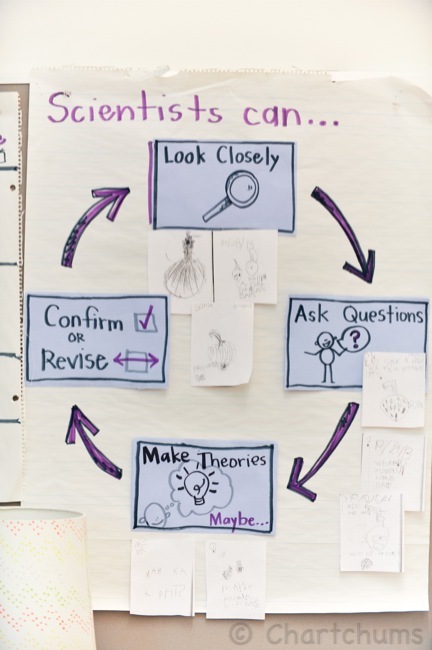 Charts that teach specific information about a genre or a concept are very much needed to remind children of key ideas, vocabulary, concepts, and other important information being studied. For example, shapes, colors, forms, techniques, and types are all concepts that can be explored through inquiry, discussion, and experience. 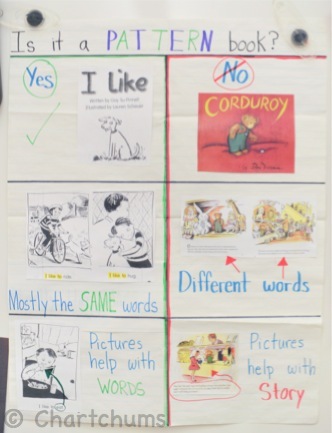 Concept and genre charts capture and display this information for children to reference again and again in discussion, writing, and thinking. This can be a critical support in helping children learn and use content specific vocabulary actively and purposely across the day. One example is the concept of question words. 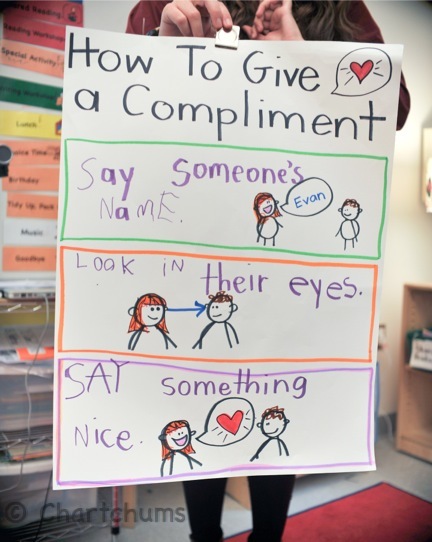 These are often taken for granted and simply referred to as “the five W’s.” The heading “Question words that help you think!” lets children know the purpose. 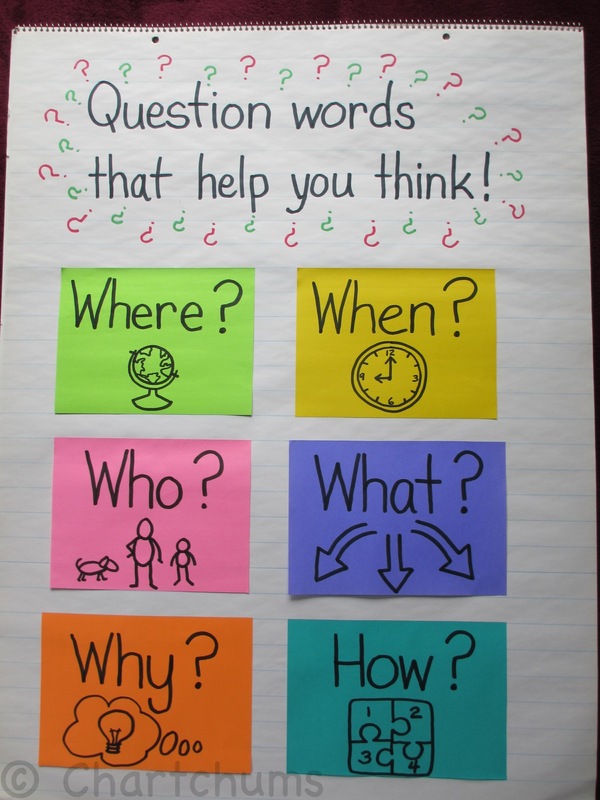 The chart itself helps kids remember the words and the visuals help remind them of what each question word means and the type of answer it asks for. The chart was added to slowly so that each question word could be explored and practiced. Concepts are best taught one or two at a time and always in context. Concepts are also best learned when children have multiple opportunities to practice them in a multitude of different situations. 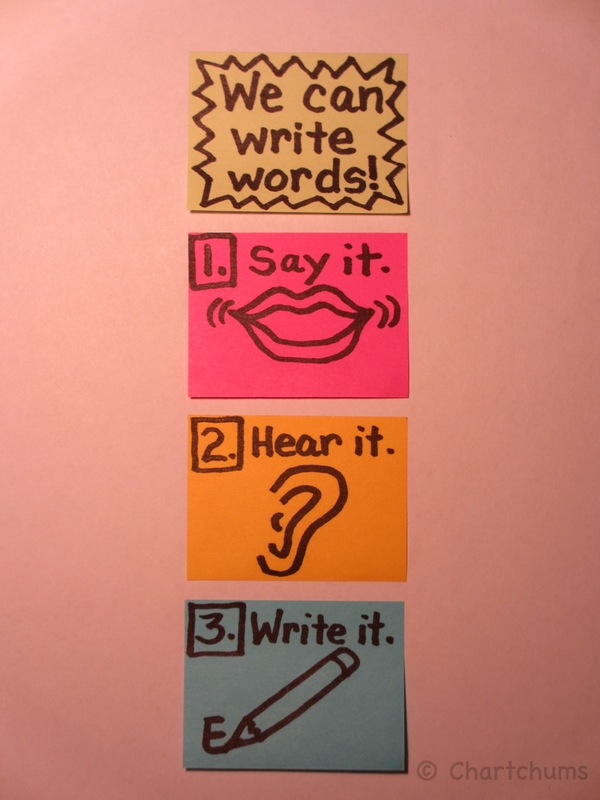 This is a finished concept chart of question words. The visuals help show what each word is asking. Concept charts in particular are often the type of chart most often bought ready made. Just look around your classroom. See that color chart? The shapes chart hanging in the corner? The money chart with each coin drawn larger than life? While these charts are often polished and shiny, they are also the ones that quickly become unseen and unused, like wallpaper. Why? Because it is like turning right to the last page of a book and reading “The End.” Nobody does that because they would miss the journey, miss all the fun, miss any sense of discovery and adventure. The most important thing in the making of a concept chart is the inquiry done by the kids. 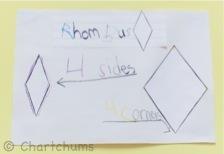 Interactive writing was used to create this concept chart with the children. Genres are another important concept we teach students through inquiry, charting their discoveries along the way. They are often created at the beginning of a unit of study and then added to as children make continued observations of the genre being studied. The example below was created with a class studying pattern books. 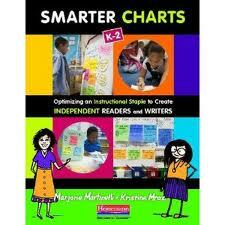 The T-chart format allows for contrasts to be made between the characteristics of a pattern book versus a story book. Using examples from the pattern books and story books the children have read increases the meaning the chart has for the kids involved. Genre and Concept charts are most useful when they are made with kids and are constantly being revised as children’s experiences grow and become more nuanced. They can be a vital tool and are fun to make too.